Bentley has launched a range of fragrances for men, including a special edition created in conjunction with crystal maker Lalique. The 'impressive crystal flacon' complete with Bentley's Flying B mascot will set you back £3,000 for 40ml, and is limited to 999 bottles worldwide.> The scent itself was created with the help of French perfume house Robertet, and Bentley says it is an "elixir of fine woody notes and exquisite leather to complement the epicentres of excellence within Bentley's craftsmanship". 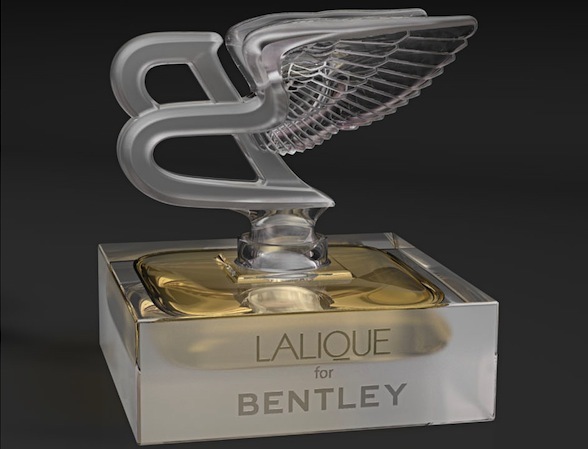 The Lalique for Bentley Special Edition goes on sale a range of 'carefully selected' retailers in April. Bentley designer Daniele Ceccomori said: "Just as the 'Flying B' sits gracefully on the front of our flagship Mulsanne model, we wanted to communicate the same importance with the preciousness of the crystal artwork and the uniqueness of the essence treasured by its delicate flacon." 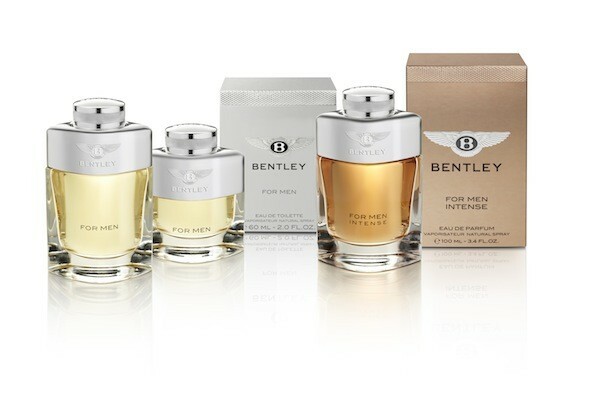 If Bentley's epicentre of excellence is a little out of your price range, Bentley For Men and Bentley For Men Intense have been created by top perfumist Nathalie Lorson of Firmenich, starting at £43 for 60ml. Bentley says that Lorson has "skilfully transformed the quintessence of the luxury automotive brand Bentley into a superb and unmistakable fragrance experience". Naturally, the smell includes notes of leather and wood, as well as cedar and patchouli, to really evoke that new car scent. If you want to complete the set, Bentley shampoo is available for £24 and aftershave balm will set you back £32. Still, cheaper than buying an actual Bentley.